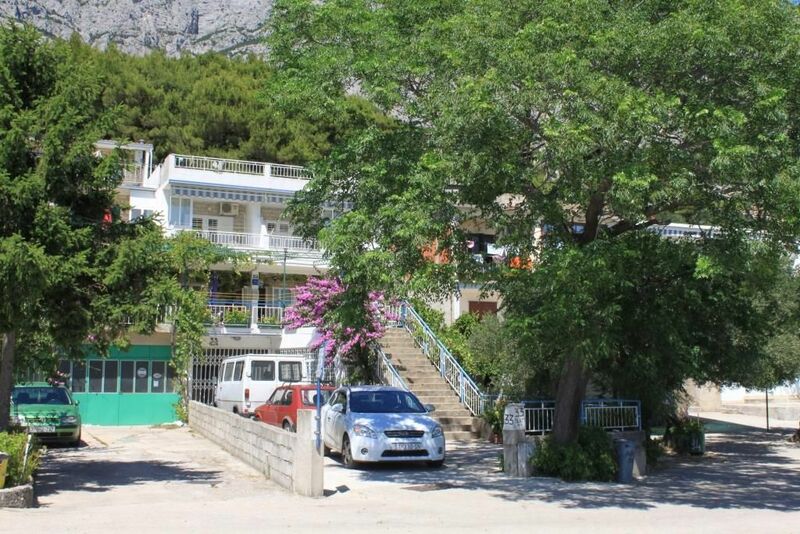 House 6857 in the town of Tučepi, Makarska - Central Dalmatia has accommodation units of type Apartment (1), Studio flat (3) and is 400 m away from the sea. The nearest beach to this accommodation is a pebble beach. As the house is divided into several accommodation units, other guests will most likely be present during your stay. The hosts will be in residence during your holiday. The house owner is under no obligation to accept additional persons and pets that were not stated in the reservation request and it is necessary to report them in advance. Studio flat can accommodate 3 guests. Beds are situated in 1 sleeping rooms, within 17m2. Guests can enjoy a sea view from the private terrace. Food can be prepared using barbecue which is shared with other guests too. INCLUDED IN THE PRICE: tourist tax, final cleaning, air-conditioning, parking, internet, baby cot. Discounts to the base price: special (realize an additional discount of 10% on your reservation). Advance payment amount is up to 50%. Realize an additional discount of 10% on your reservation. All the prices advertised on the website refer to the stay in the accommodation unit longer than four nights. For a stay of 4 days or less the amount increases in % of advertised price: For three nights the advertised prices increase by 10%. For two nights the advertised prices increase by 20%. For one night the advertised prices increase by 30%.